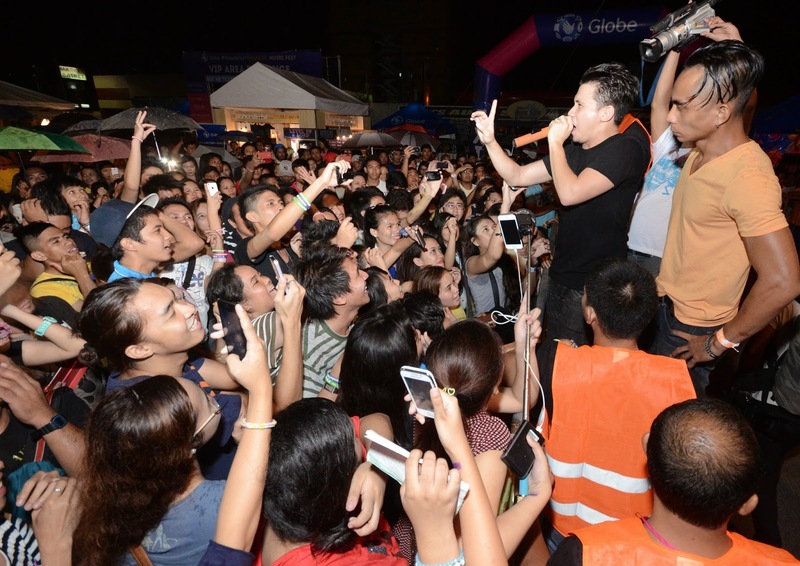 Globe Telecom Prepaid hits Davao with #WonderfulMindaNOW Music Fest as part of the same campaign. WonderfulMindaNow is a social-media driven program that enjoins Mindanaoans to take pride in their region by showcasing wonderful spots, places, and tourist attractions in Mindanao. Held at the Damosa Park in Davao City, the #WonderfulMindaNOW Music Fest gathered thousands of Davaoenos who enjoyed various interactive activities like the photo booth, motion sensor games and trick eye art at the Globe Prepaid booth. Local performers from Davao, upbeat music mixes from DJs Delta Street and Khai Lim as well as the special performances from two of the country’s most popular bands Up Dharma Down and Sponge Cola pumped up the crowd until the wee hours of the morning. Globe Prepaid also gave away cool freebies and raffle prizes that made the #WonderfulMindaNOW Music Fest even more fun for Davaoenos who captured and shared their experiences on social media via Globe Prepaid’s GoUNLI20Plus, a Mindanao-exclusive offer which gives prepaid subscribers unlimited calls to Globe/TM, 20MB of data for mobile surfing, and 50 texts to all networks for only P20 valid for 1 day. The most affordable and easy-to-use prepaid voice and mobile data combo, GoUNLI20Plus allows subscribers to keep in touch with their families and friends through calls without the need for prefix dialing. They can also browse through different social networking sites with no Wi-Fi needed, plus a bonus of 50 texts to all networks for a price easy on the pocket. Mindanao prepaid subscribers can register to GoUNLI20Plus by texting Go20Plus to 2655. To know more about GoUnli20Plus, visit www.globe.com.ph/gounli20plus.